Monitor the level in your fuel, or other liquid storage tanks. Ensure you never run low and are ready for the most critical moments. Ultrasonic Fuel Level Sensors are compatible with all securityProbe and sensorProbe+ base units. Suitable for any tank up to 2 meters fluid depth. Programmable tank profile provides accurate measurement. • Compare fuel usage with fuel delivery billing. Ultrasonic fuel level sensors work with any sensorProbe+ or securityProbe device, conecting to a single sensor port. 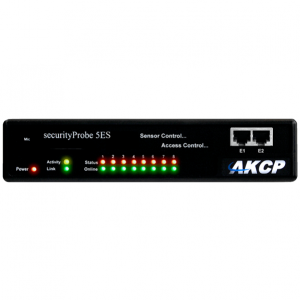 Alerts can be sent through SNMP, E-mail and SMS (with optional cellular data modem). 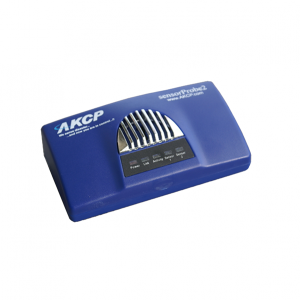 Remote site locations can be monitored from our central monitoring software AKCP Pro Server, which includes drill down mapping and customizable desktops to display the data you need. sensorProbe+ and securityProbe devices are Modbus ready, making connection with many generator control panels easy via their Modbus RS485 output. 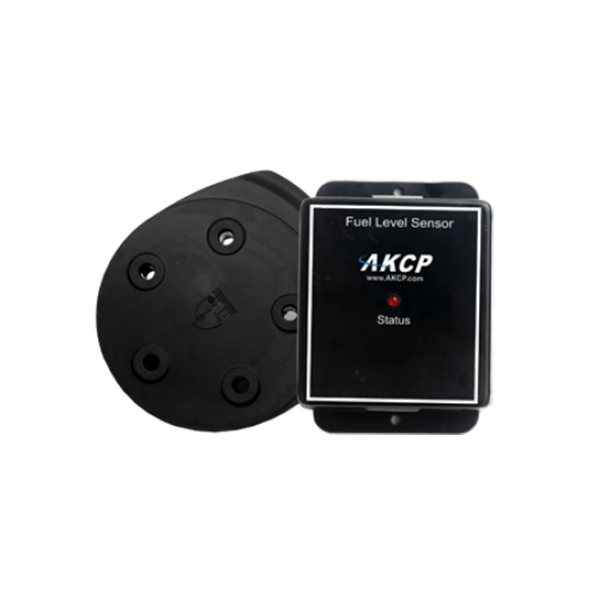 Combined with an Ultrasonic Fuel Level Sensor it gives you a compelte remote site generator monitoring solution. 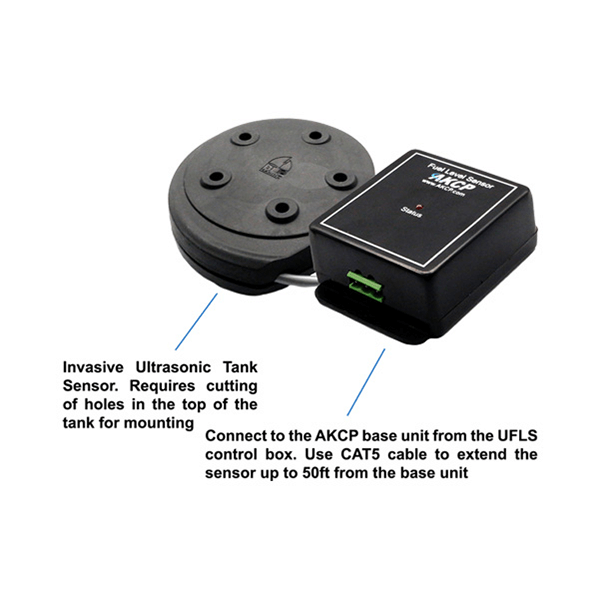 Ultrasonic Tank Sensors bounce high-frequency sound waves off the surface of the liquid. By timing the return of this wave the level of liquid in the tank can be established. Invasive tank sensors require the cutting of a hole in the top of the tank for installation. This can easily be achieved with a hole saw. A standard SAE5 hole layout makes the mounting pattern easy to drill. • It is advised that the UFLS is not to be used with explosive chemicals of any kind.